Someone once bequeathed me with the title Sacred Timekeeper, and in some sense I think that’s true. Or at least I recognize in myself a remembering that at one time I carried that energy and expressed it with greater clarity. But for now, in this lifetime, I dance with it differently – trying always to understand time differently, to tease out its secrets, to honor it more directly by seeing it as a pattern meted out in cycles and spirals and not nearly as linear as we like to pretend. And I do l like to celebrate those occasions we’ve collectively decided are important enough to put on our calendars. It’s true I often try to dig a bit deeper and release some of the superficial nonsense that often gets attached to our collective decisions, but I think this is something we all should do. There are without question challenges here; deep grievous pain and paradigms that are divisive and clearly service-to-self; there is meanness and pettiness and an underlying vibration of fear that thrums more loudly than seems bearable at times. But this is not what I want to be swept away in. I can allow it to be the contrast of what I want to create, what I want to participate in, how I want to contribute to the greater good. I want always to see clearly enough that I DO see we all have the opportunity to walk the Beauty Way. We are participating in a life on a planet that offers us unending reminders that we are not alone, that we are all connected, and that we only need open our eyes and our hearts to know this. How can we not say thank you? Whether you’re celebrating Thanksgiving today or not, and whether that’s by choice or location, I do hope you take some time to consider what you’re grateful for, and perhaps find some way to express that gratitude to someone or something that may especially need to hear it. And may your day and heart be filled with awareness, with wonder, with joy, with beauty. Always and forever. Thanks for the kind wishes Hilary. I’m grateful for your positivity and your fabulous contributions to expanding my knowledge with all your blogging magic. Happy Thanksgiving to you and yours, Deborah. Grateful to have shared this year with you in the blog-o-sphere. Thanks Janet – I’m grateful too. Have a wonderful holiday weekend! 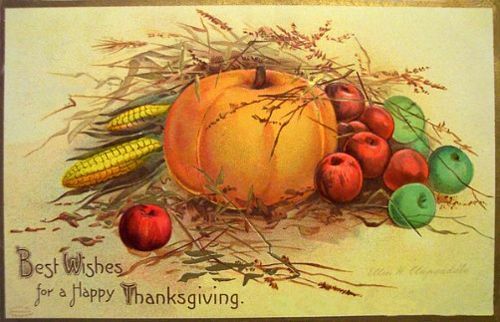 Wishing you the blessings of a Happy and Fruitful Thanksgiving, Deborah, all the way across the seas from North Cyprus! Much love, long-time friend, as I’m truly thankful for our friendship. I celebrate and am grateful, too, Mo for our friendship – however long-distance it may be! Thank you for the kind words Susan, and may our feet always find the Beauty Way! As always a beautiful post, dear Deborah. I appreciate your kind words Patty – thank you! And I think Ford was right – to live our lives in gratitude daily is something I believe we should all aspire to – it literally shifts the vibration of everything. This is wonderful! The practice of gratitude is very important, if one is to attain the goals that one sets for ones self. For all things are connected, and to tap into the reasons for being grateful or thankful, is also to tap into the spirit of kindness and giving. And we all know, what goes around, comes around! Synchronicity has a way of confirming your gifts of gratitude! Over and over again! Pay attention! Don’t want to miss it!!! Aloha Deborah! Love the way you’ve expressed that Vicki. And aloha to you! And I too, am thankful to have made your acquaintance here in blogland! Yes! Isn’t gratitude just the best?! This is an inspiring piece, as always. It is so true, the painful yet exciting time we live in, and yes, I am glad to have chosen to come into this life at this time. And happy that you are here as well! Such strength we find in friends. I hope your Thanksgiving was full of gratitude and that that lives on throughout time. I’m glad we chose this time as well Mary! And one thing I know with great certainty is that the energy of gratitude is expansive and uplifting. Who doesn’t need more of that in their lives?